Dr Warhurst has recently given oral evidence on Brexit & chemicals to the UK House of Common’s Environmental Audit Committee inquiry on “The Future of Chemicals Regulation after the EU Referendum”. 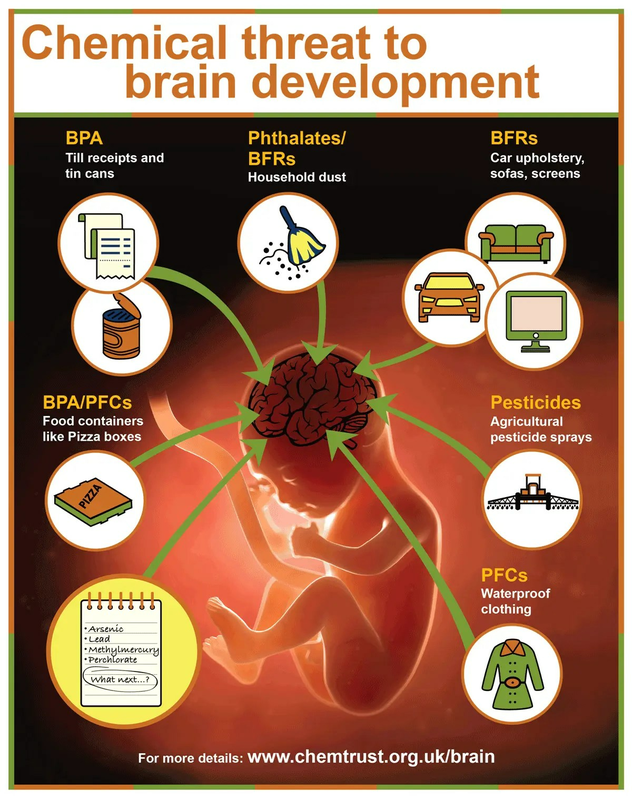 Ensuring that any safety testing of chemicals includes evaluation of neurodevelopmental effects. The need for more comprehensive regulation of chemicals in food contact materials like packaging. A full list of policy recommendations is available here (& in the full report). More advice is available here (& in the full report). The full report is available here, and a shorter summary version is also available. The Executive Summary is also available as a web page. Material about the report is also available in French, Spanish, Danish, Dutch and German. The launch of this report has been covered by a range of media, including The Guardian, The Daily Mail, Le Monde, Le Vif, RTVE, Chemical Watch, ENDS Europe and Food Packaging Forum. Previous post: Why has the European Commission’s review of REACH rules for controlling hormone disrupting chemicals been watered down?